All vehicles that are registered in Massachusetts must receive a safety inspection each year. Your vehicle must undergo both an emissions test and a safety inspection every year before its current inspection sticker expires (at the end of the month printed on the sticker). To avoid end-of-the-month lines, have your vehicle tested during the first half of the month when it is due for an inspection. If you purchase a vehicle (new or used), it must be inspected within seven calendar days of its registration to continue operating on Massachusetts roadways. 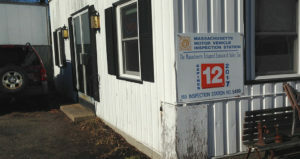 Bob Graham Auto Sales & Service, Inc. is one of over 1,900 inspection stations located across Massachusetts. Our inspection hours of Monday through Friday 8:30am – 4:30pm. Bring your vehicle registration and the $35 inspection fee with you. Payment methods accepted are cash, check and credit card. As a registered repair shop we employee L1 and L2 Certified Techs (Advanced Level ). We are certified with the State of Massachusetts to do all diagnostic and emission repairs. We can provide all necessary paperwork for Emissions Waivers and Hardship Extensions.